A website is intended to draw customers in. The days when your customers were sitting in front of a computer to visit your site are long gone. These days, they could be on a laptop, a smartphone, a tablet, or even a smartwatch. It’s important to have a website that can look good and be easy to navigate on any device. That’s where adaptive and responsive web design come into play. A reputable Charlotte web design firm can help you determine which is best for your site, but here’s a simple breakdown. What’s the difference between adaptive and responsive design? 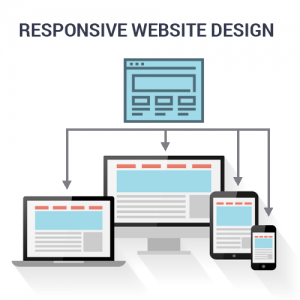 With a responsive design, your website will respond to the changes in device and/or browser size to change the layout. The information will remain the same, but it’s location will move based on the size of the screen. Think of when you open a browser window on your computer. If you resize the window, the website you’re looking at will rearrange itself to fit that space. A responsive design does the same thing on different devices. You won’t see it happen, because the website will automatically detect the available space and present the optimal layout. If you resized the browser on that device, the layout would change again. An adaptive design, also known as progressive design, doesn’t have one design. Instead, it has multiple fixed layouts. Each layout is customized for a different space. When you visit the website on a particular device, the site detects the available space and then presents the fixed layout that is most appropriate for that particular screen. If you resized the browser on that device, the layout would remain exactly as it is. Ultimately, you can think of the two designs like water. A responsive design is the same amount of water poured into different containers, taking the shape of the container. An adaptive design is different amounts of water added to containers based on the size of the containers. So which one is best? Both designs have their advantages, and in many ways, they’re equals. There are a few instances in which one design edges out the other. Responsive takes less work and is easier to implement. You only need to create one design, and then use media queries to make the appropriate adjustments across screens. Responsive is currently more search engine friendly, which means it works better with SEO. For websites that consider SEO crucial or even somewhat important, responsive would be best. Adaptive design allows you to have more control over your design. This means you can tailor-make each fixed layout so that it adapts to the user’s situational needs and capabilities, making it easier and more intuitive for them to use. Adaptive design feels more relevant to the user experience. With responsive website design, it’s often clear that the site was designed with a desktop screen in mind, with the smartphone or tablet screen taking second, more passive, place. 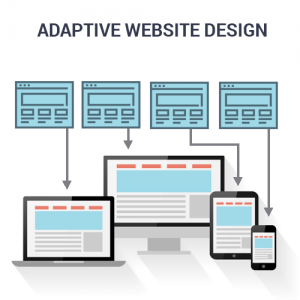 With adaptive design, the layout is customized to the device’s screen, making it clear that the website owner put thought into ensuring that their customers would have a pleasant experience across all devices, rather than just making sure they had a presence across all devices. At the moment, a responsive web design is still top dog when trying to make sure that your website has a presence across all devices and still ranking with search engines. It’s also less expensive and usually faster to implement. But adaptive has its benefits. Contact us today to discuss the possibilities. We’re an experienced Charlotte web design agency and will help you determine which one is best for your specific needs. Top Benefits of Paid Advertising Does Increased Hits from SEO Equate to Sales?